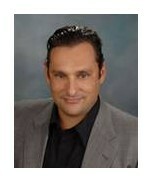 Paul Romano is the Chief Operating Officer of Fusion Trade, Inc and has been with Fusion since 2001. 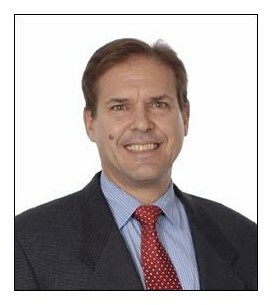 Prior to Fusion, Paul held executive management positions with Converge and Real World. Paul has an MBA from the Booth School at the University of Chicago, a Masters in Systems Management from USC, and a BA from Bucknell University. He has been on the Board of IDEA since September of 2008. Currently, Paul is the President of the IDEA Board of Trustees and Chairman of both the Standards Committee. Paul has been in the Independent Distribution Industry for over fifteen years, and Fusion has been a Member of IDEA for more than eight years. Dan co-founded World Micro in 1995 and has for twenty years provided clear leadership and direct management of all financial aspects of the business, which has since grown steadily to become a highly successful venture. In addition to the oversight of World Micro's legal, regulatory, and accounting functions and processes, Dan also oversees the trading and management of all excess materials. Ellsworth attended Western Carolina University and moved to Clearwater, Florida to start a career in the brokerage business. During the next decade, he spent many years working with Raymond James & Associates as an investment advisor. Dan was responsible for the active management of assets, diversification classes, establishment of new accounts and the development of prospecting tools. After co-founding World Micro, the business was subsequently moved from Florida to Georgia. His acumen and judgment were honed during his time spent in the brokerage business. He has successfully applied the myriad skills and disciplines gained during that period to World Micro, and continues to help lead an exceptional team of people today. 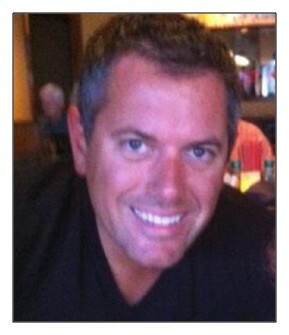 Dan resides in Atlanta and has been happily married for nine years to his wife, Terri. Dan and Terri have two children. Homey Shorooghi has over 34 years of industry experience. He is the founder of Advanced Silicon Technology Inc. and was the President of Advanced Silicon Technology from 1987-1994. Homey graduated from USC in 1986 with an Engineering degree. In April of 1994 Advanced Silicon Technology and MP Systems merged to form Advanced MP Technology. Homey has serves as the president of Advanced MP Technology since 1994. Homey Shorooghi, with his vast industry experience, extensive knowledge of the global semiconductor markets and electronic components as well as his day-to-day involvement in Advanced MP Technology’s business, has been a great contributor to the success of Advanced MP Technology. Advanced MP Technology is a founding member of IDEA since 2003. Prior to PCX, Inc., Gilles started and owned a Painting Contracting company and built it to over 100 employees in 5.5 years before selling it in December of 1993. 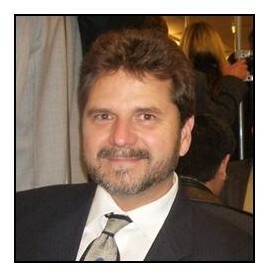 Gilles (Gil) has worked in the Independent Distribution Industry since January of 1994 when PCX was opened. He has been a Member of IDEA since its inception. He attended UC Riverside for Political Science and Economics and matriculated in June of 1989. Steve is a Senior Board Member and the elected President of IDEA. He has been an active IDEA Member since 2004 and is also the founder and CEO of PC Components Company, a leading Stocking Independent Distributor. 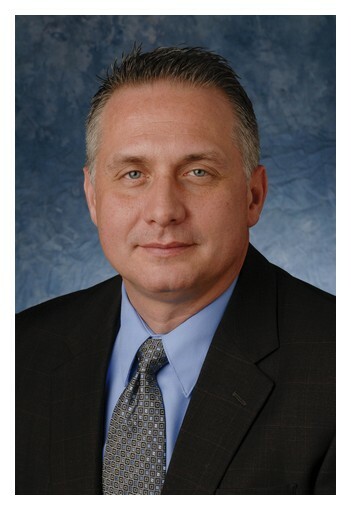 Steve holds a Bachelor's degree in Electronic Engineering from the College of New Jersey and has gained a unique perspective of the industry and the supply chain from more than 30 years of industry experience in OEM, EMS, and OCM sectors. Steve's industry work experience began as an Electronic Bench Technician. Upon graduation as an Electronics Engineer, Steve was employed as a Senior Component Engineer, Quality Manager, and Purchasing Manager for industry-leading organizations that include IBM, Lockheed-Martin, EAI, Base Ten Systems, and PC Enterprises. Steve has had "final say" with respect to maintaining Qualified Parts Lists (QPLs) used to build end products that range from commercial expansion boards that you might find inside an IBM or Tandy Personal Computer to defense systems including the Sidewinder Missile. Steve also gained experience in a Component Manufacturer (OCM) organization while he worked as a Semiconductor Process Engineer for IBM where he performed design and fabrication support, test, and SEM analysis of ICs including the industry's first 256K x 1 DRAM. In 1984, Steve founded PC Enterprises, an OEM that achieved world-leading status as an after-market supplier of upgrades for IBM PCjr, PC, and Tandy Computers. Under Steve's direction, PC Enterprises produced more than 70 different products and shipped millions of items worldwide. PC Components, which was originally founded as the purchasing division of PC Enterprises, is today a separate entity. Brian Ellison began his career in the electronics industry in 1990 after serving four years in the U.S. Army. Throughout the years, he held several positions at leading electronic franchise distribution companies. His roles included: field sales representative, strategic accounts manager, operations manager and regional manager. Mr. Ellison joined America II in 2003, taking the position of EMS sales manager. In 2005, he was promoted to Global Accounts Manager, supporting Tier 1 EMS customers. Success and growth in this position earned Mr. Ellison the Independent Distributor of the Year Award from one of the Tier 1 EMS customers in 2007. He was also awarded the America II Award of Excellence in that same year. In 2008, Mr. Ellison earned a promotion to Director of EMS Sales. In this role, he grew and developed the Global EMS Sales Department into a 20-person team, supporting sales and inventory supply chain solutions for EMS customers globally. Mr. Ellison then held the position of Executive Vice President driving global growth initiatives for the company. In June 2012, Mr. Ellison was promoted to President of America II Electronics and charged with the responsibility of establishing a long term growth platform. Ray has been in the Independent Distribution Industry since 1988 and is the Managing Partner at Impact Components in San Diego, CA. Impact joined IDEA at its inception and continues to strive to perpetuate the credibility and respect of Independent Distribution. Ray's background is in Electronics, and prior to Impact, he worked as a Field Engineer for Dicomed Corp. in the field of high resolution computer graphics. His training in Electronics comes from the U.S. Navy, where he specialized in Satellite Communications and Cryptographic Equipment as well as Radar and HF Communications gear. Jason Jowers has twenty years of management experience, including the past twelve years in the independent distribution industry as Velocity Electronics’ Director of Quality and Operations. He has overseen the development of Velocity’s supplier selection and component inspection programs and is also responsible for Velocity’s AS9120 and ISO 9001:2000 certified quality management system, ANSI/ESD S20.20 certified ESD program, ISO 14001 / OHSAS 18001 certified EH&S program, export compliance, warehousing, and logistics. He has served on the IDEA board of trustees since 2009 and as the co-chairman of the IDEA-QMS-9090 committee. He has also served on the Texas ESD Association’s board of directors since 2002. Prior to joining Velocity, Jason served for eight years in the United States Army, during which he commanded two tank companies and held a number of other leadership positions. He earned his B.S. in management from the United States Military Academy at West Point and his MBA from the University of Texas at Austin's McCombs School of Business. 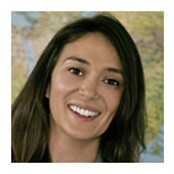 Hande Meissner joined NexGen Digital in 2008. Responsible for overseeing NexGen Digital's Operations, Meissner works to establish, monitor and expand quality processes, while ensuring compliance with customer, state and other regulations. In addition, Meissner manages day-to-day activities of the inspection, warehouse, lab and compliance with AS9100 and all other certifications. Meissner also serves as liaison for NexGen Digital's authorized line of Microsemi products, educating employees, driving selling points and staying up-to-date on new products and improvements. Prior to NexGen Digital, Meissner was director of land development at a large privately held home-builder company. There she managed large mixed-use infill development, master plan communities, sports and even centers and municipal/public works projects and oversaw technical review, quality assurance and quality control procedures for the project. Meissner studied in London, England. Away from work, Meissner loves to read and write and has had several pieces of poetry published. She also enjoys walking her dogs with her husband. 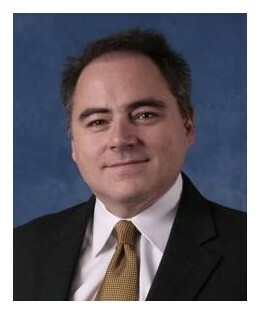 Brian Wilson has worked for MicroRam for the past 15 years and currently serves as Executive Vice President. He has a Business Management – Marketing Degree from Colorado State University. Brian has been in management at MicroRam for the past 10 years with a focus on Sales, Operations, Quality and Supply Chain. He has extensive global business experience in the USA, Canada, Mexico, China, Singapore and Malaysia. David Friede is a principal shareholder and the Chief Operating Officer of Harry Krantz Company, where he assumes the responsibility of managing day-to-day company operations; enhancing and optimizing sales force activities; and leading business development. He is also an active and driving participant in developing the quality systems to ensure compliance with customer requirements and government regulation.